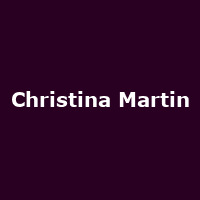 "Christina Martin is a multi-award winning Canadian singer-songwriter whose style has been described as an effortless union between alt-country and rock with pop sensibility. Winner of the 2012 Nova Scotia Female Artist Recording of the Year. The UK home for americana, alt.country and alternative music (AmericanaUK) has announced that Christina was voted #4 Best Female Artist of 2013 and 'Sleeping With A Stranger' was #6 on their album chart for 2013."